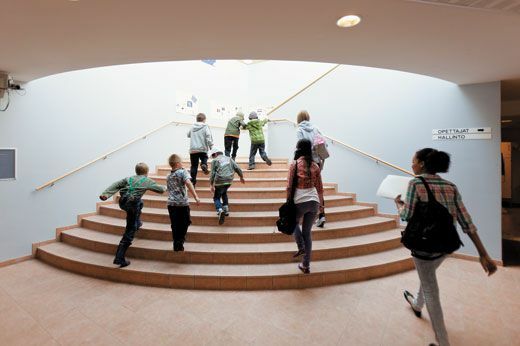 It was the end of term at Kirkkojarvi Comprehensive School in Espoo, a sprawling suburb west of Helsinki, when Kari Louhivuori, a veteran teacher and the school’s principal, decided to try something extreme—by Finnish standards. One of his sixth-grade students, a Kosovo-Albanian boy, had drifted far off the learning grid, resisting his teacher’s best efforts. The school’s team of special educators—including a social worker, a nurse and a psychologist—convinced Louhivuori that laziness was not to blame. So he decided to hold the boy back a year, a measure so rare in Finland it’s practically obsolete. 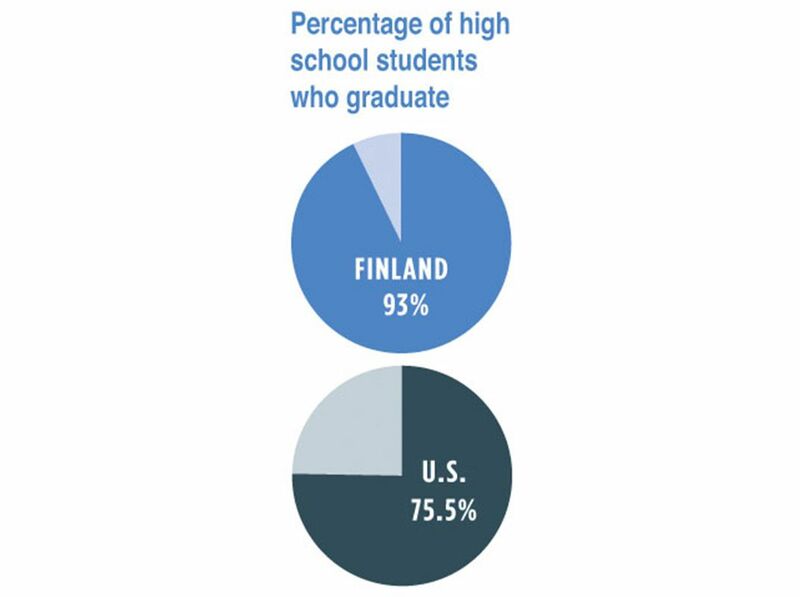 Ninety-three percent of Finns graduate from academic or vocational high schools, 17.5 percentage points higher than the United States, and 66 percent go on to higher education, the highest rate in the European Union. 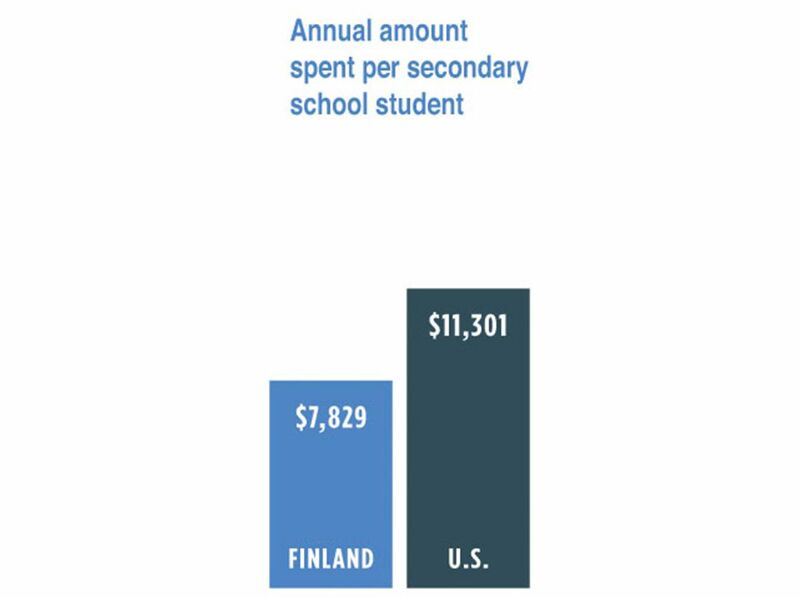 Yet Finland spends about 30 percent less per student than the United States. With their wiggles unwound, the students took from their desks little bags of buttons, beans and laminated cards numbered 1 through 20. A teacher’s aide passed around yellow strips representing units of ten. At a smart board at the front of the room, Rintola ushered the class through the principles of base ten. One girl wore cat ears on her head, for no apparent reason. 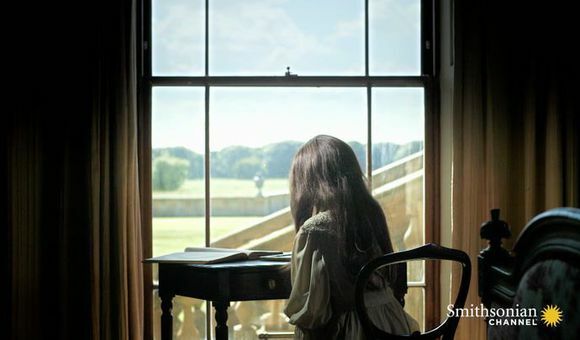 Another kept a stuffed mouse on her desk to remind her of home. Rintola roamed the room helping each child grasp the concepts. Those who finished early played an advanced “nut puzzle” game. After 40 minutes it was time for a hot lunch in the cathedral-like cafeteria. Even so, Rintola said her children arrived last August miles apart in reading and language levels. By April, nearly every child in the class was reading, and most were writing. Boys had been coaxed into literature with books like Kapteeni Kalsarin (“Captain Underpants”). The school’s special education teacher teamed up with Rintola to teach five children with a variety of behavioral and learning problems. The national goal for the past five years has been to mainstream all children. The only time Rintola’s children are pulled out is for Finnish as a Second Language classes, taught by a teacher with 30 years’ experience and graduate school training. There are exceptions, though, however rare. One first-grade girl was not in Rintola’s class. The wispy 7-year-old had recently arrived from Thailand speaking not a word of Finnish. She was studying math down the hall in a special “preparing class” taught by an expert in multicultural learning. 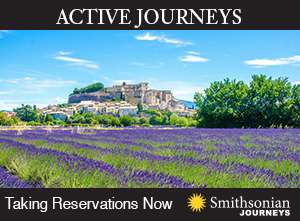 It is designed to help children keep up with their subjects while they conquer the language. Kirkkojarvi’s teachers have learned to deal with their unusually large number of immigrant students. 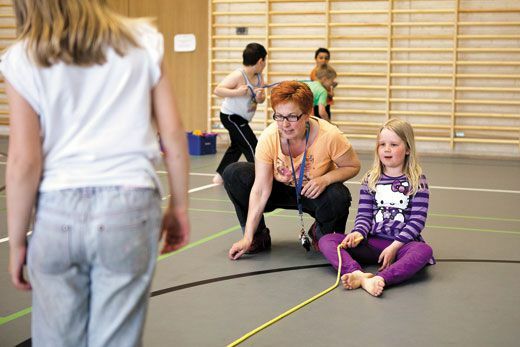 The city of Espoo helps them out with an extra 82,000 euros a year in “positive discrimination” funds to pay for things like special resource teachers, counselors and six special needs classes. Rintola will teach the same children next year and possibly the next five years, depending on the needs of the school. “It’s a good system. 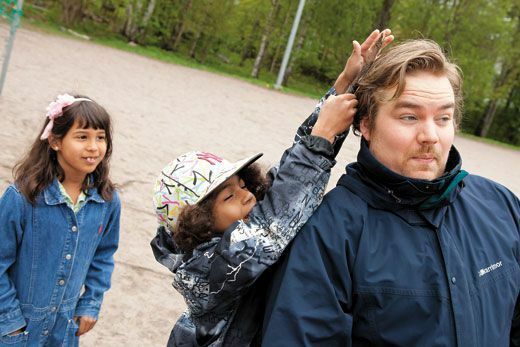 I can make strong connections with the children,” said Rintola, who was handpicked by Louhivuori 20 years ago. “I understand who they are.” Besides Finnish, math and science, the first graders take music, art, sports, religion and textile handcrafts. English begins in third grade, Swedish in fourth. By fifth grade the children have added biology, geography, history, physics and chemistry. I had come to Kirkkojarvi to see how the Finnish approach works with students who are not stereotypically blond, blue-eyed and Lutheran. But I wondered if Kirkkojarvi’s success against the odds might be a fluke. Some of the more vocal conservative reformers in America have grown weary of the “We-Love-Finland crowd” or so-called Finnish Envy. They argue that the United States has little to learn from a country of only 5.4 million people—4 percent of them foreign born. Yet the Finns seem to be onto something. Neighboring Norway, a country of similar size, embraces education policies similar to those in the United States. It employs standardized exams and teachers without master’s degrees. 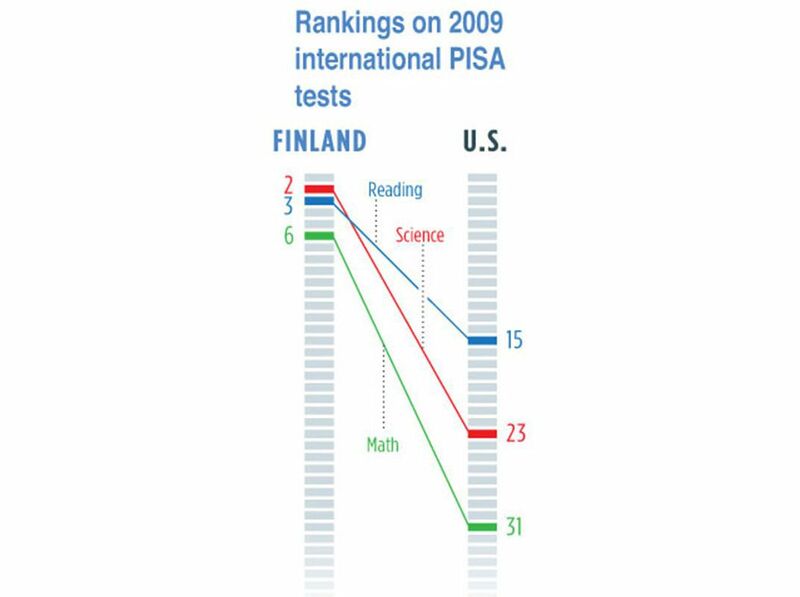 And like America, Norway’s PISA scores have been stalled in the middle ranges for the better part of a decade. To get a second sampling, I headed east from Espoo to Helsinki and a rough neighborhood called Siilitie, Finnish for “Hedgehog Road” and known for having the oldest low-income housing project in Finland. The 50-year-old boxy school building sat in a wooded area, around the corner from a subway stop flanked by gas stations and convenience stores. Half of its 200 first- through ninth-grade students have learning disabilities. All but the most severely impaired are mixed with the general education children, in keeping with Finnish policies. The school receives 47,000 euros a year in positive discrimination money to hire aides and special education teachers, who are paid slightly higher salaries than classroom teachers because of their required sixth year of university training and the demands of their jobs. There is one teacher (or assistant) in Siilitie for every seven students. In another classroom, two special education teachers had come up with a different kind of team teaching. Last year, Kaisa Summa, a teacher with five years’ experience, was having trouble keeping a gaggle of first-grade boys under control. She had looked longingly into Paivi Kangasvieri’s quiet second-grade room next door, wondering what secrets the 25-year-veteran colleague could share. Each had students of wide-ranging abilities and special needs. Summa asked Kangasvieri if they might combine gymnastics classes in hopes good behavior might be contagious. It worked. This year, the two decided to merge for 16 hours a week. “We complement each other,” said Kangasvieri, who describes herself as a calm and firm “father” to Summa’s warm mothering. “It is cooperative teaching at its best,” she says. Finland’s schools were not always a wonder. Until the late 1960s, Finns were still emerging from the cocoon of Soviet influence. Most children left public school after six years. (The rest went to private schools, academic grammar schools or folk schools, which tended to be less rigorous.) Only the privileged or lucky got a quality education. The landscape changed when Finland began trying to remold its bloody, fractured past into a unified future. 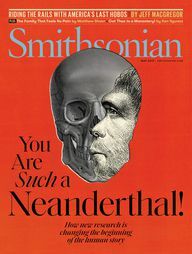 For hundreds of years, these fiercely independent people had been wedged between two rival powers—the Swedish monarchy to the west and the Russian czar to the east. Neither Scandinavian nor Baltic, Finns were proud of their Nordic roots and a unique language only they could love (or pronounce). In 1809, Finland was ceded to Russia by the Swedes, who had ruled its people some 600 years. The czar created the Grand Duchy of Finland, a quasi-state with constitutional ties to the empire. He moved the capital from Turku, near Stockholm, to Helsinki, closer to St. Petersburg. After the czar fell to the Bolsheviks in 1917, Finland declared its independence, pitching the country into civil war. 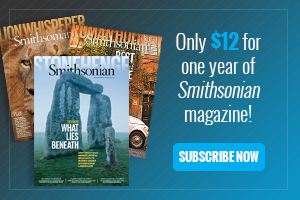 Three more wars between 1939 and 1945—two with the Soviets, one with Germany—left the country scarred by bitter divisions and a punishing debt owed to the Russians. 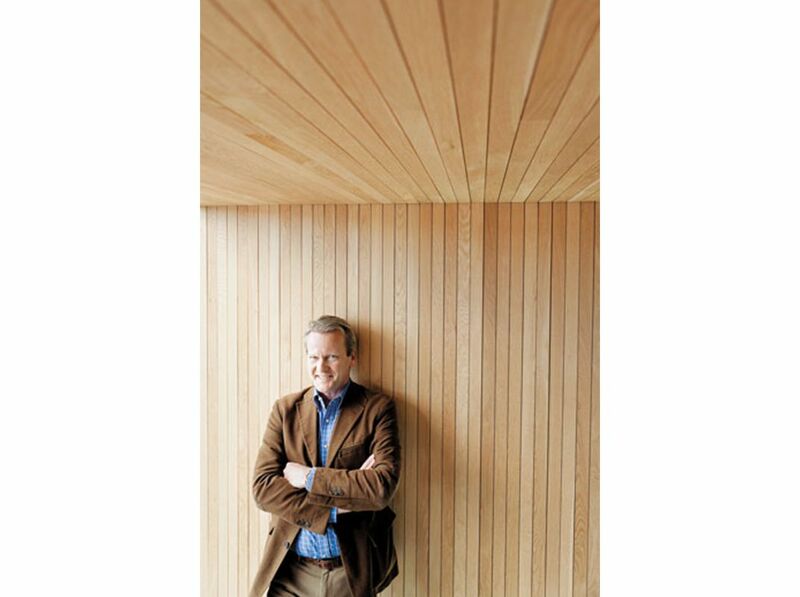 “Still we managed to keep our freedom,” said Pasi Sahlberg, a director general in the Ministry of Education and Culture. In 1963, the Finnish Parlia-ment made the bold decision to choose public education as its best shot at economic recovery. “I call this the Big Dream of Finnish education,” said Sahlberg, whose upcoming book, Finnish Lessons, is scheduled for release in October. 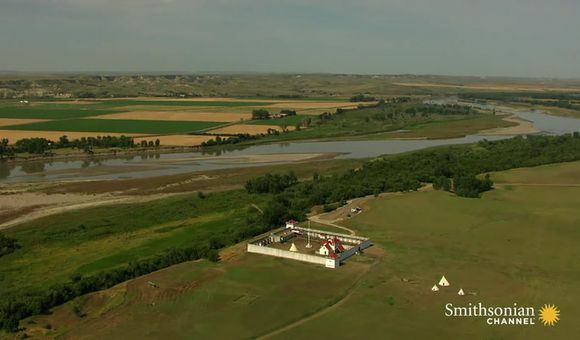 “It was simply the idea that every child would have a very good public school. If we want to be competitive, we need to educate everybody. 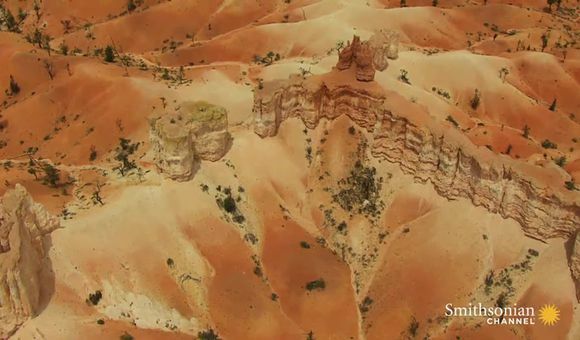 It all came out of a need to survive." 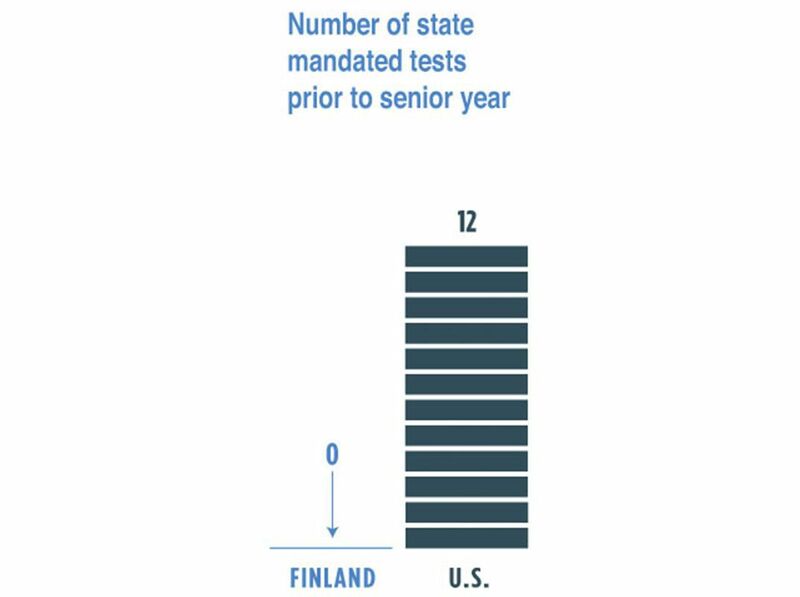 To be sure, it was only in the past decade that Finland’s international science scores rose. In fact, the country’s earliest efforts could be called somewhat Stalinistic. The first national curriculum, developed in the early ’70s, weighed in at 700 stultifying pages. Timo Heikkinen, who began teaching in Finland’s public schools in 1980 and is now principal of Kallahti Comprehensive School in eastern Helsinki, remembers when most of his high-school teachers sat at their desks dictating to the open notebooks of compliant children. And there are still challenges. Finland’s crippling financial collapse in the early ’90s brought fresh economic challenges to this “confident and assertive Eurostate,” as David Kirby calls it in A Concise History of Finland. At the same time, immigrants poured into the country, clustering in low-income housing projects and placing added strain on schools. 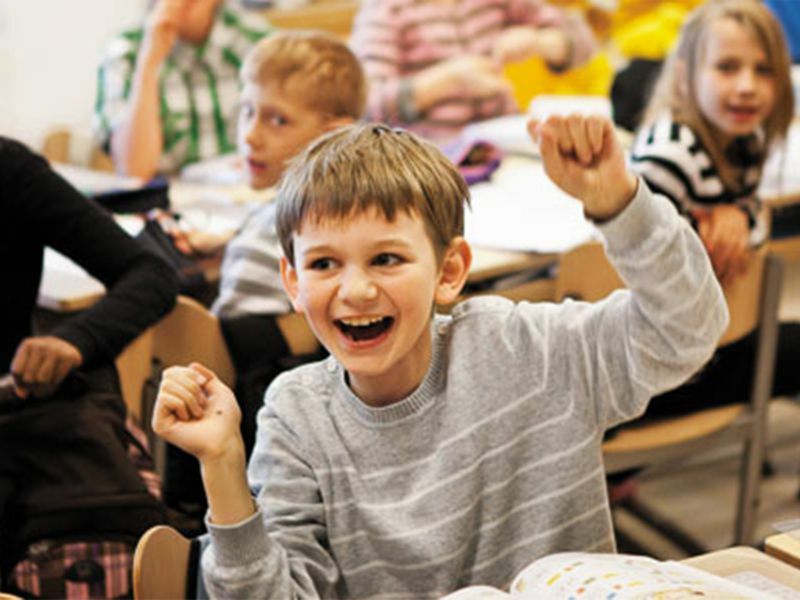 A recent report by the Academy of Finland warned that some schools in the country’s large cities were becoming more skewed by race and class as affluent, white Finns choose schools with fewer poor, immigrant populations. A few years ago, Kallahti principal Timo Heikkinen began noticing that, increasingly, affluent Finnish parents, perhaps worried about the rising number of Somali children at Kallahti, began sending their children to one of two other schools nearby. In response, Heikkinen and his teachers designed new environmental science courses that take advantage of the school’s proximity to the forest. And a new biology lab with 3-D technology allows older students to observe blood flowing inside the human body. In other words, whatever it takes. Lynnell Hancock writes about education and teaches at the Columbia Graduate School of Journalism. 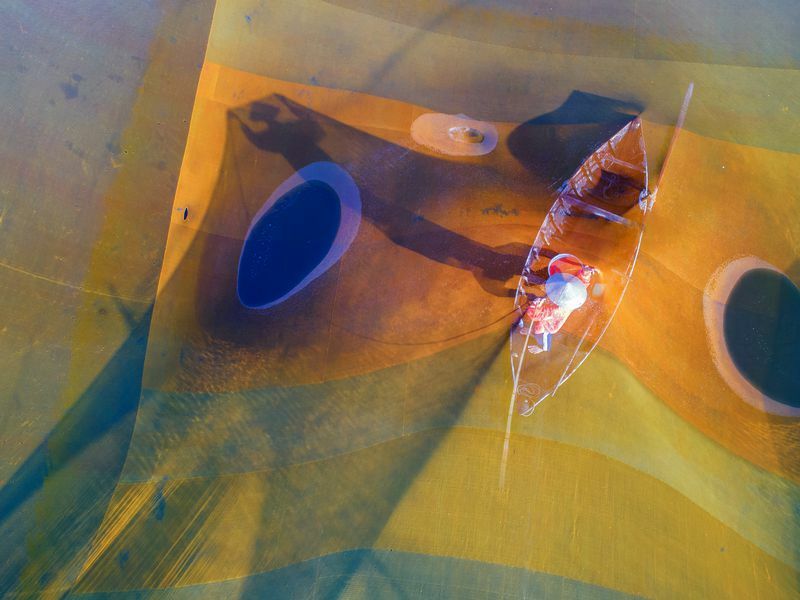 Photographer Stuart Conway lives in East Sussex, near the south coast of England.